Liverpool regained top spot in the Premier League after a fine win over Chelsea at Anfield yesterday. Manchester City have a game in hand but still have Manchester United and Tottenham to play while the Reds have the likes of Cardiff and Huddersfield. The Reds were held by Chelsea in the first half but came out of the blocks with such ferocity in the second half that the Blues could not handle them. Sadio Mane opened the scoring after Jordan Henderson dinked a ball over the visitors’ defence but it only took two minutes for Liverpool to double that lead. And they did so in emphatic fashion, thanks to an absolute stunner from their talisman Salah. After cutting in from the right-hand side, the Egyptian unleashed a ferocious drive from 25 yards out that was past Kepa Arrizabalaga in the blink of an eye. And while fans and pundits alike jumped up in celebration, there was one man who was less disturbed. Working as a panel guest on Star Sports, the Irishman was tucking into a hearty dinner as the worldie went in. 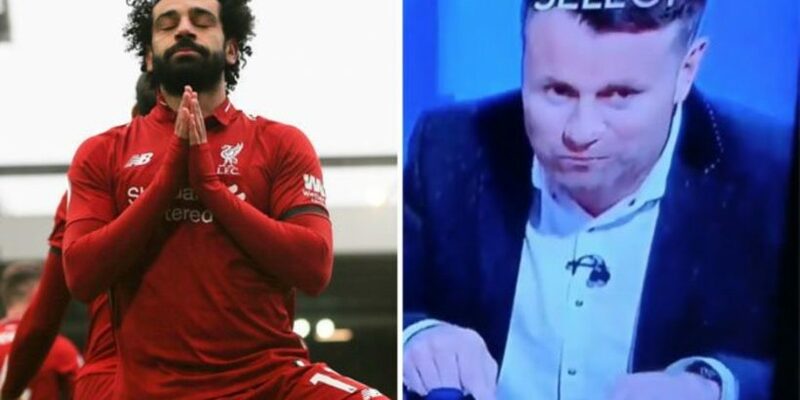 Without batting an eyelid, the Derby goalkeeping coach carried on shovelling food in while Ian Wright and Steve McManaman celebrated in wild fashion. Meanwhile, Jurgen Klopp was brimming with emotion after the result and urged his side to now take this momentum into the final throes of the season. He said: “I’m so proud of the team, it was a fantastic performance. What a team, what a stadium, what an atmosphere. City beat Crystal Palace earlier in the day to temporarily take top spot and Klopp admitted that they cannot hide away from what their rivals are doing. He added: “The first question in the meeting today was ‘what is the City score?’ You cannot avoid knowing about it. But it isn’t interesting to us.